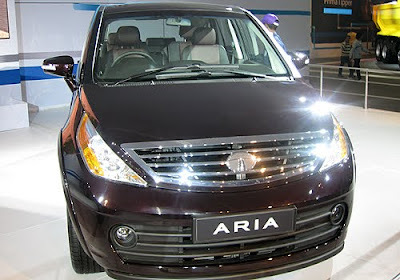 The Tata Aria, the first Indian crossover, will be commercially launched on October 11, 2010. It will be made available across all major cities and towns of the country. First shown as a concept at the 75th Geneva Motor Show in 2005 and in the New Delhi Auto Expo 2006, the Tata Aria was unveiled at the New Delhi Auto Expo in January 2010. The Tata Aria brings together the luxury and finesse of a sedan and the muscle of an SUV at a commensurate price. It will set several benchmarks, with its design, technologies, comfort and safety. The Tata Aria’s development started in 2006. A team of over 150 individuals, comprising multi-discipline specialists from the Tata Motors Group and vendor-partners, worked on the project to create this segment-defining crossover.